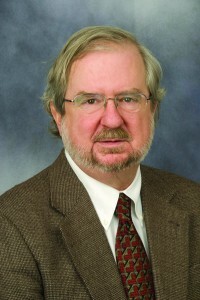 The possibility of identifying an immune checkpoint molecule, which turns off T-cells before they can response to tumors, led renowned researcher James Allison, Ph.D., professor and chair of Immunology at The University of Texas MD Anderson Cancer Center, to receive worldwide recognition, after The Economist awarded him first prize in its 2013 Innovations Award in Bioscience, according to a recent press release. Dr. Allison’s discovery offers a new approach for treating cancer. The treatment promises to increase the survival rate for people with developed melanoma by attacking an antibody that blocks the immune checkpoint molecule, triggering a T-cell attack. Ipilumumab (Yervoy®), which is used for treatment of metastatic melanoma, was approved by the U.S. Food and Drug Administration in 2011. Dr. Allison expressed gratitude for the award, which he will officially receive in London on December 3th: “I’m honored to receive this award, which recognizes the increasing importance of immune therapy in the treatment of cancer.” UK-based publication The Economist is a recognized worldwide authority in business and trade news. The Innovation Awards promoted by the weekly publication recognize important contributions in Energy and Environment, Process and Services, Social and Economic, No Boundaries, Corporate Bioscience, Computing and Telecommunications, and Consumer Products. Dr. Allison’s research on T-cells detected the receptor of these cells used to find and bind to antigens. He also discovered that T-cells need a second molecular signal to initiate a response after they have compelled to an antigen. The identification of a molecule named CTLA-4, which inhibits activated T cells from attack, allowed a development of ipilumumab-blocking CTLA-4. Clinical trials showed the drug eliminated the melanoma of 20% of patients with stage 4 melanoma. Since November 2012, Allison initiated an immunotherapy platform for new developments of immunology-based drug and combinations in conjunction with MD Anderson’s Moon Shots program, which is designed to facilitate the transformation of scientific discoveries on clinical advances that can reduce the number of cancer deaths. Stay up to date on the latest Cancer news. Next article Opexa Therapeutics One of Elsevier's “Top 10 Advanced Therapy Projects to Watch”"